The Wright Wreport: Is It OK to Talk to Strangers Despite What Mother Said? Is It OK to Talk to Strangers Despite What Mother Said? Talking to strangers on a train may not be such a bad idea, according to a new study. Photo from Chicago Transit Authority Facebook page. HEADS UP: This week and next, a couple of articles about surprising results of dealing with strangers. 5. 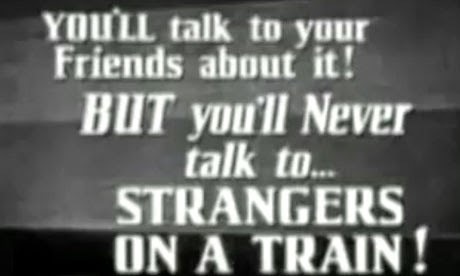 Don't talk to strangers. Advice to live by, except that a recent study seems to question the wisdom of not talking to strangers. 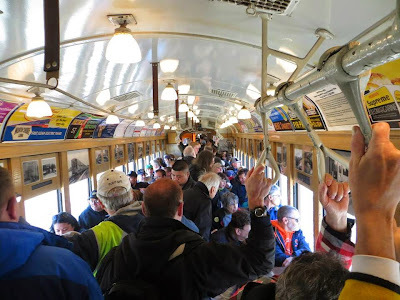 According to an article that appears in the most recent issue of “The Journal of Experimental Psychology: General,” commuters on the rails and roads (city buses) to Chicago came away enhanced from the experience of talking to strangers on their commute. Interestingly, before the interaction the commuters believed such a leap would have the opposite effect. In “Mistakenly Seeking Solitude,” NE and co-author Juliana Schroder assert that humans underestimate or don't understand the importance of this type of social interaction. Nine experiments in the field and in the lab helped the researchers reach this conclusion. NE and JS set out to examine why people who can enjoy tremendous benefits from social interaction prefer isolation in the company of strangers. Study participants who take commuter rail and ride city buses were asked during their commute to engage in three behaviors: talk to a stranger; interact with no one, or follow their normal routine. Then they were directed to answer survey questions that would in turn be used to measure the outcome of “distant social engagement” compared with isolation. NE and JS also found that participants in the experiments not only underestimated others’ interest in connecting, but also reported positive experiences by both being spoken to and to speaking with a stranger. What does this all mean? Keep in mind that the experiment was carried out using commuters. Common sense should lead one to conclude that it may be OK to talk to the person sitting next to you on the bus, but it is all together different if you encounter a dodgy-looking character in a dark alley. The study merely proves the old adage that there is an exception to every rule. In short, it is OK to talk to strangers – in certain circumstances. Next week: Obligated to trust total strangers? Visit http://www.bit.ly/1wYuIXY to read “Mistakenly Seeking Solitude” and/or an abstract of it.